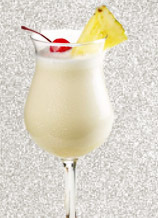 Throw it all in a blender and blend until smooth and creamy approx 45 seconds. Makes approx 4 - 8oz servings. Yesterday was a huge success! I was able to perfect my Blueberry Lemonade, Peanut Butter -Chocolate, Cucumber Refresher, and my Kiwi Pineapple; they were all excellent flavor combinations. The fruity pops were a lot easier to get out of the molds. 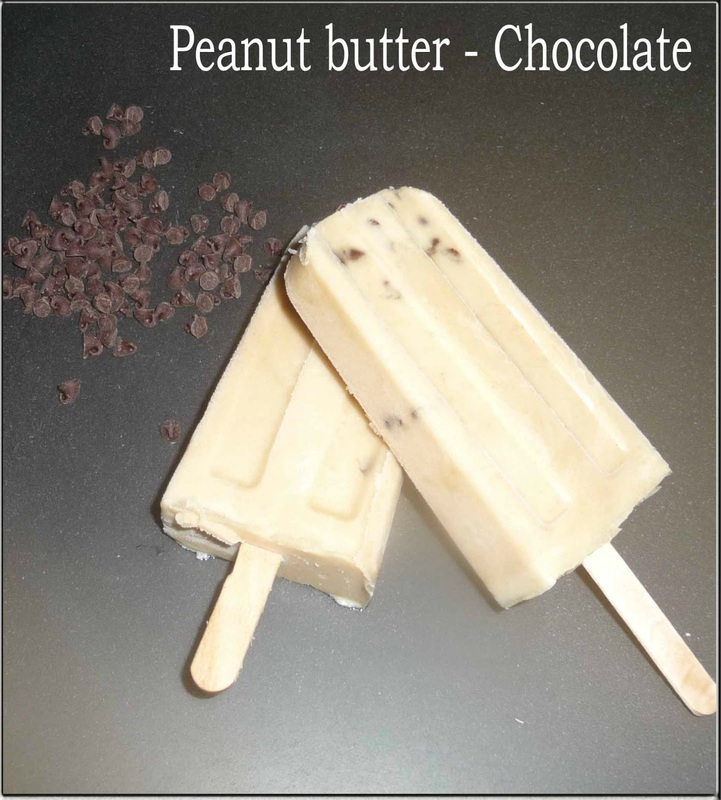 I was very surprised the Peanut Butter Chocolate ice pop turned out so delicious I admit was a bit of a skeptic. Imagine them dipped in chocolate double delicious. Yesterday was awesome!!! We received the ice pop molds one day early and put them to work straight away. 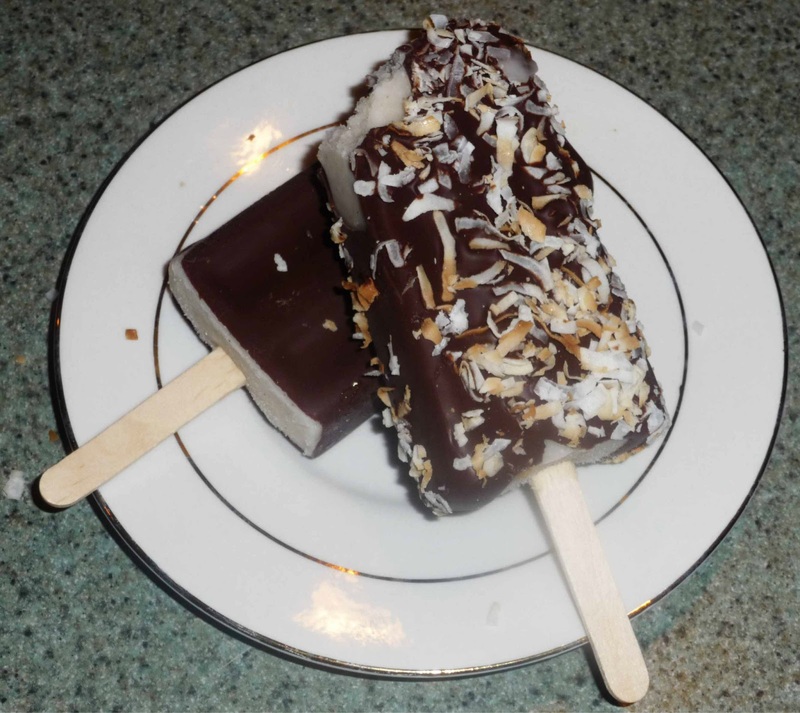 I have to admit, I wasn't all that jazzed about trying the coconut so I did chocolate instead. I am a chocoholic by nature so I couldn't resist. The biggest problem I will have to overcome is taking them out of the molds. After taking them out of the freezer I placed them in hot water for a few seconds... they wouldn't release, a few more seconds... still nothing, a few more... still they didn't want to release from the mold. Finally I wiggled and wiggled them a bit and voila out they came out the (stick that is). By the time I was able to get them out of the molds they were starting to melt. I put them back on a cookie sheet covered in was paper and refroze them. After about an hour I took them out and dipped them in chocolate and rolled them in nuts. WOW!!! DELICIOUS!!! They turned out GREAT!!! My husband couldn't get over how good they were. Dylan (my son) named it the "Chocolate Nut". Not only is it full of chocolaty nutty goodness but you will go nuts over it. What's on the agenda today? You got it more chocolate!!! I'm on a roll... Roll? Hey what about a cinnamon roll pop? This week was all about new flavor combinations it has been a fun and challenging experience. We don’t have our ice pop molds yet they have been ordered but they will not arrive until February 28. We ordered the Progressive International PLP-1 Freezer Pop Maker from Amazon. But for now are using ice cube trays. This is not a bad choice since some of the flavors have been well you know (what’s that technical term I like to use) oh yeah nasty!!! Here are a couple of the keepers, Pumpkin chiffon made with pumpkin we froze at Thanksgiving (we loved it) it's the perfect pop for fall and mango strawberry pineapple and peach (this was one of our favorites so refreshing and delicious). Today I will be playing with coconut (not my favorite but it was requested) so check back soon I will let you know how it goes. Opening a specialty restaurant can be expensive and adventurous. Join us in the experience and help us become successful. (This is going to be one big adventure). 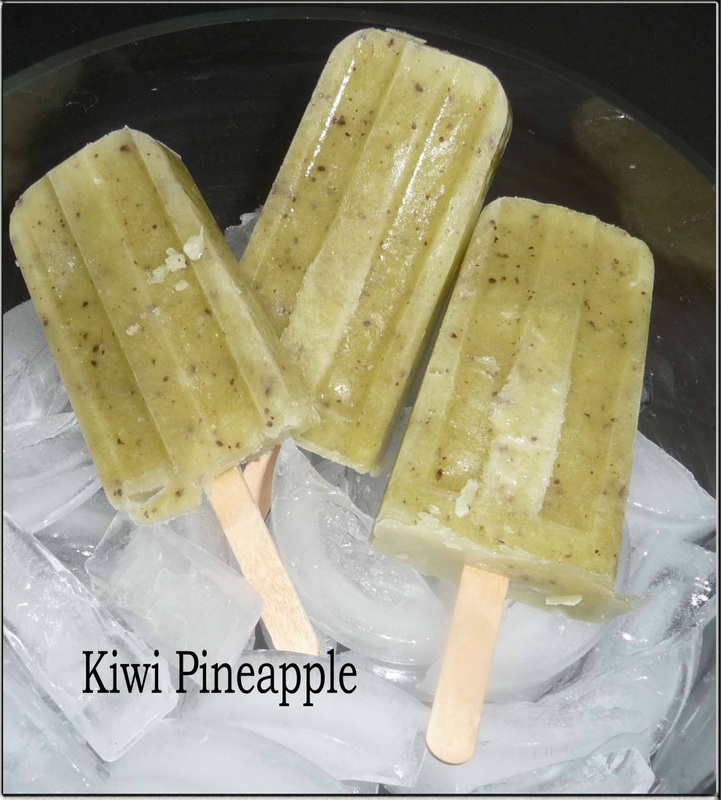 Product: First things first, deciding what to sell: Gourmet popsicles are making their way as the newest food rage. You can see evidence of that in just about every magazine you pick up, on food shows on television and of course all over the internet. They are fun, creative, and in most cases, a healthy option to some of the overly sweetened, processed frozen treats that have been making the scene for years. Ok that's it gourmet popsicles. So now that the product is decided lets come up with a name. Quality: Only the best will do!!! We will purchase locally such as fruit and honey from the farmer’s markets we attend, and then we will condense it into the form of a simple and nostalgic summertime staple. Free of added preservatives, artificial coloring or flavors—they will prove to be quite a healthy treat. The best part is that all GG bars can be customized with a variety of fun toppings! Let's get started: Help us come up with some unique flavor combinations. This is going to take some time. 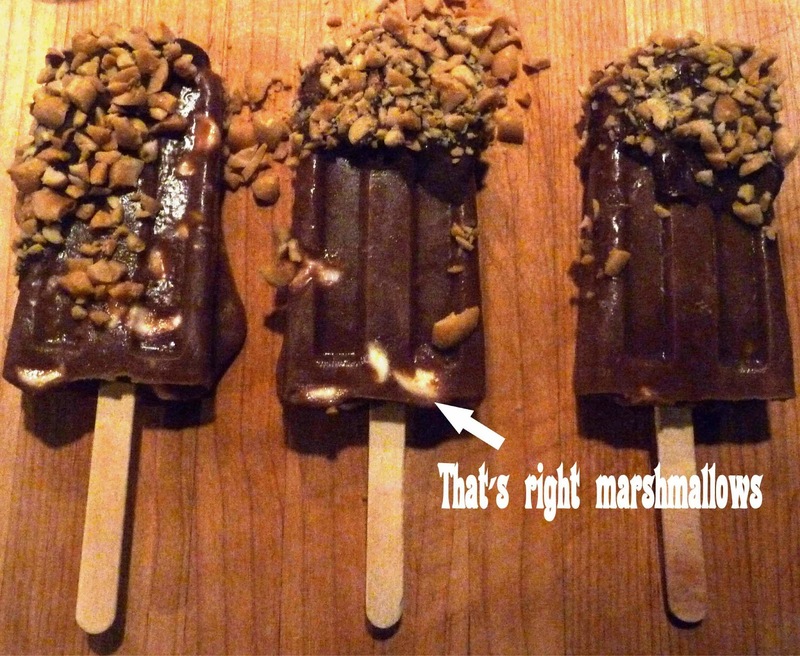 The Science behind Gourmet Glace is just trial and error. We are still waiting for our molds to get here so in the meantime we will be making our GG bars in ice cube trays.